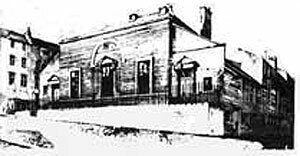 Thornhill Lodge has been meeting in Sunderland on the third Wednesday from September to May, in the oldest purpose built Freemasons Masonic Hall, for over 100 years. Read more about the lodge history. We are always extremely pleased to welcome visiting brethren to our meetings and will always extend a warm welcome. Our Charter Mark, indicates that our lodges webste was Approved by the Province of Durham in 2009. This website is to communicate information about the Thornhill Lodge and to advertise and promote current and up-coming events and meetings. Joining members are always welcome - please contact the lodge secretary for further details. We would be very please to receive communications from brethren who have visited us in the past or would like further information about visiting us in the future. Freemasons Hall, Queen Street East, Sunderland, SR1 2HT.